A collection of good eats, raising a glass in celebration, & appreciating the everyday happenings with good friends. Breakfast is the most important meal of the day, yet a lot of people skip it. Which I personally don’t understand – I can’t wait to eat in the morning! 🙂 It’s so important though to give your body and mind much needed energy to get you going for the day ahead. This particular recipe can be made over the weekend and kept all week. The quinoa stays crispy, and the natural sweetness of the honey and maple syrup satisfy your cravings. 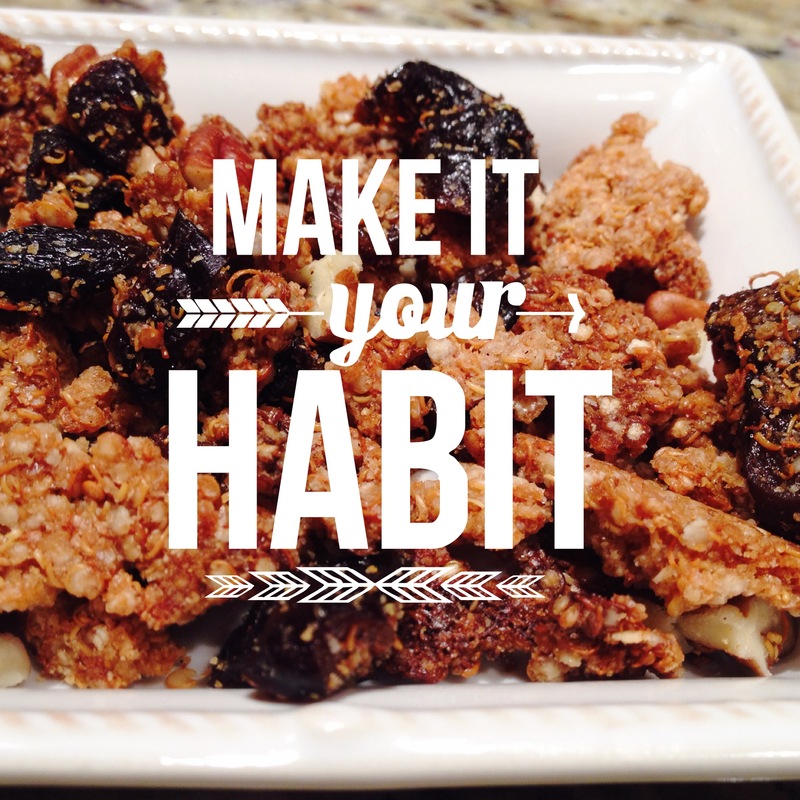 And you get fiber in the dried fruit! So no more excuses of not having time to eat in the morning – make it your habit to eat breakfast, and start your day off right! This particular recipe is based off of a recipe by Gwyneth Paltrow, featured in her latest cookbook, It’s All Good. 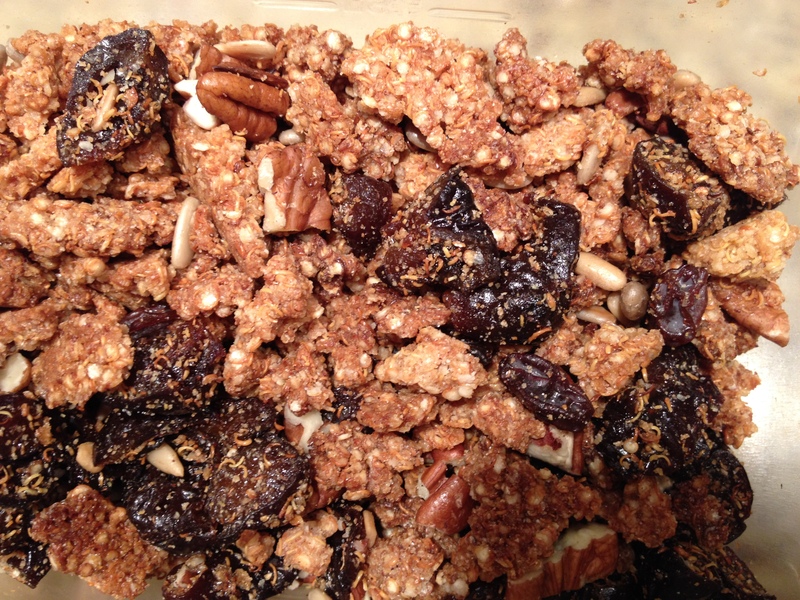 I’ve made several items from this collection, but her Quinoa Granola with Olive Oil + Maple Syrup was the first recipe I cooked. I highly recommend this book – incredible recipes, stories, and beautiful photographs fill this coffee table worthy piece. So together, lets continue to make our spirit, and our belly, happy! 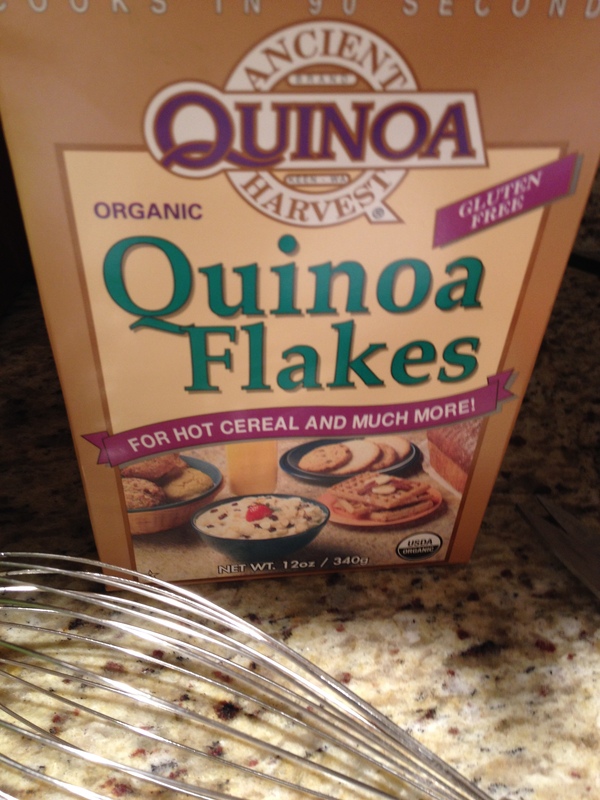 Note: When buying your ingredients, it’s important to note that the recipe calls for Quinoa Flakes, which is different from normal quinoa. Preheat the oven to 400 degrees. In a medium-sized bowl, whisk together the olive oil, honey and maple syrup. When well mixed, add the quinoa flakes until they are well coated. 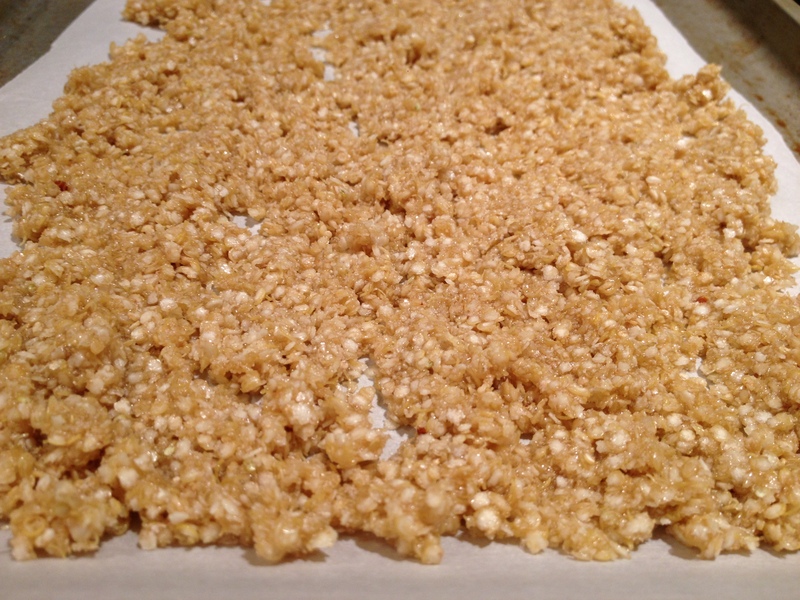 Line a baking tray with parchment paper, and then pour the quinoa flake mixture onto the tray. Try to spread it all out so it will bake evenly. Sprinkle with the salt and cinnamon. Bake for about 20 minutes, or until a crispy golden brown. Be sure to keep an eye on the quinoa though, stirring as needed. Once done, set aside to cool and then mix in the other additions. Serve on top of yogurt, or enjoy on it’s own! Thank you! It’s such a healthy, filling and delicious addition to breakfast. And a great snack! I will for sure send it to her – thank you!